We specialise in manufacturing Limestone Fireplaces in our own fireplace factory which is the largest in the UK open to the public. 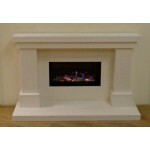 Our customers can by their limestone fireplace online or in our showroom and have it manufactured to their exact requirements and installed by us as we offer a full fitting service for your fireplace whether you buy online or in the showroom. 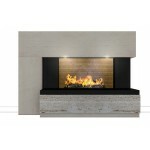 Carrara Limestone Fireplace with Fire This Fireplace is made by us in our own factory in Bolt..
Elation Limestone Travertine Fireplace. 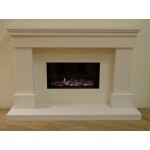 This Fireplace is made by us in our own factory in Bo..
Merrydale Arch Limestone Fireplace. 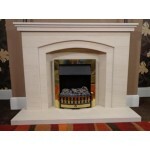 A stunning natural semi rijou limestone fireplace made by..
Prova Limestone Fireplace with Fire This Fireplace is made by us in our own factory in Bolton..
Torch Limestone & Travertine Fireplace. 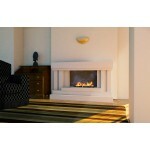 This Fireplace is made by us in our own factory i..
Nevada Limestone Fireplace. 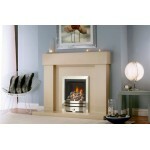 A stunning natural semi rijou limestone fireplace made by us in E..
Rocco Limestone Fireplace with Fire This Fireplace is made by us in our own factory in Bolton..
Arthouse Limestone Fireplace. 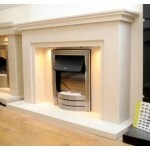 A stunning natural semi rijou limestone fireplace made by..